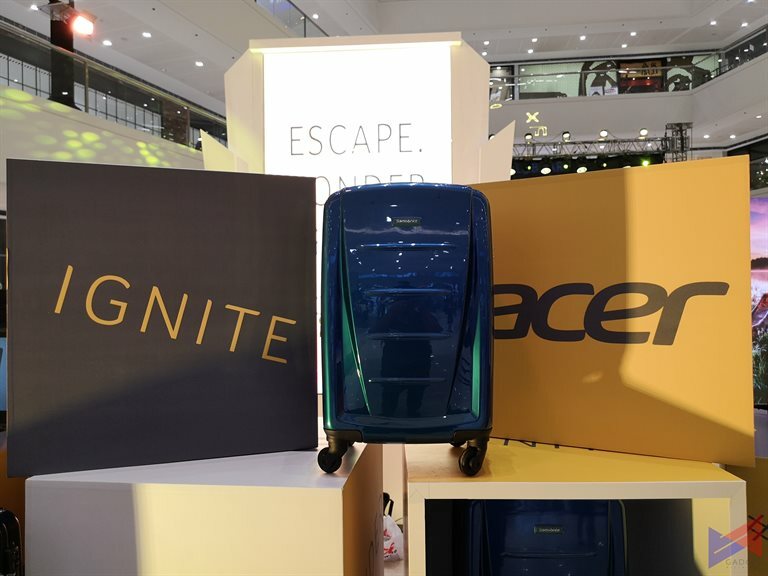 Yesterday, Acer Philippines launched its newest partnership with premium bag maker, Samsonite, for its Back-to-School promo. Created especially for millennials, the promo encourages the youth to beat every obstacle than comes in their pursuit of their dreams and goals, thus the campaign hashtag: #CarryOn. WHY do we MILLENNIALSlove to TRAVEL?????????? ?TAG your travel BESHIES" 'Coz TOGETHER,in LIFE, we #CarryOn !" ??? The event also saw the debut of the #CarryOn video, directed by Ms. Irene Villamor, known for her works such as Camp Sawi and Meet Me In St. Gallen, and shows what the campaign is all about. The short film shows how the youth turns travelling as a way of recuperating from the stresses of their daily lives. Travel inspires a different form of education – it makes you learn about new environments, exposes you to different cultures, and gives you a clearer view of the world. Samsonite could not be happier to be partnering with Acer in promoting such a holistic growth for the millennial generation.Ciely Buenviaje, Country Head of Samsonite Philippines. The Acer Philippines #CarryOn Back-to-School Promo runs until June 30, 2018, in which customers who purchase qualified Acer and Predator laptops, Acer projectors, and Acer desktops will come with a FREE Samsonite Luggage worth PhP15,550. For more information, you may visit the Acer Philippines Facebook Page, the Acer Philippines website, or follow @acerphils on Twitter. You may also do your purchases online at http://ph-store.acer.com/.